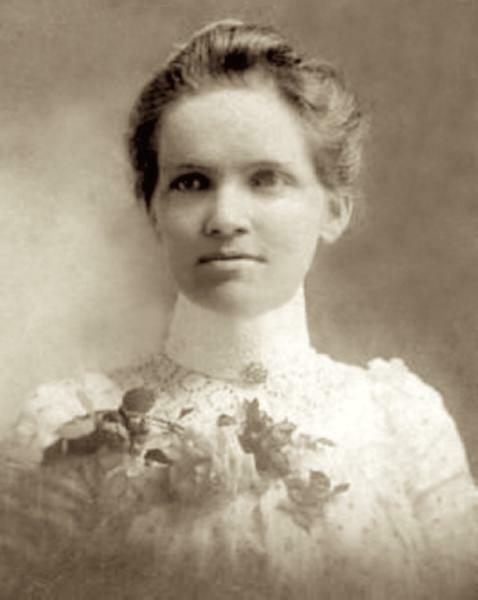 Mary Christian Wood was born on 1 July 1869 in Arkansas. Uriah Griffin Wood and Catherine Farrington appeared in the US federal census of 1 June 1870 in Warren, Columbia County, Arkansas. Other members of the household included Mary Christian Wood, Frank Oliver Wood, Mathew Stewart Wood and Bonnie Griffin Wood. Uriah Griffin Wood and Catherine Farrington appeared in the US federal census of 1 June 1880 in Mars Hill Township, Lafayette County, Arkansas. Other members of the household included Mary Christian Wood, Frank Oliver Wood, Mathew Stewart Wood, Bonnie Griffin Wood, Elma Wood and Osceola Custer Wood. She married John Gardner Lile, son of Luther Rice Lile and Lydia Whitfield Warren, on 26 June 1894 in Columbia County, Arkansas, by license issued the 15th. John Gardner Lile and Mary Christian Wood appeared in the US federal census of 1 June 1900 in Conway, Faulkner County, Arkansas, at Central Baptist College (for girls), where both John and Christian were teachers at Central Baptist College. Other members of the household included Hugh Lile and Ruth Lile. Mary Christian Wood died on 1 November 1902 at age 33. Her husband John Gardner Lile became a widower at her death. She was interred at Oak Grove Cemetery, Conway, Faulkner County, Arkansas. A photographic portrait was made of the children of John Gardner Lile and wives Mary Christian Wood and Emma McLure, about 1911.